Small Businesses in Bellingham are seriously an inspirational sight. We know that over 99% of businesses in the USA are small businesses, and that 47.5% percent of all working individuals in the US are employed by small businesses. (See stats at SBA.gov). Those are incredible statistics on their own, and I’m not writing this ignoring the thousands upon thousands of local, and inspiring small businesses in Canada – there is just something about being in a community in the US and seeing small businesses thrive. It could be that I’m away from home, but I think it’s mostly seeing these businesses interact with each other, and some of the seemingly years of heritage in small business retail that exists in the States that I find so inspiring. 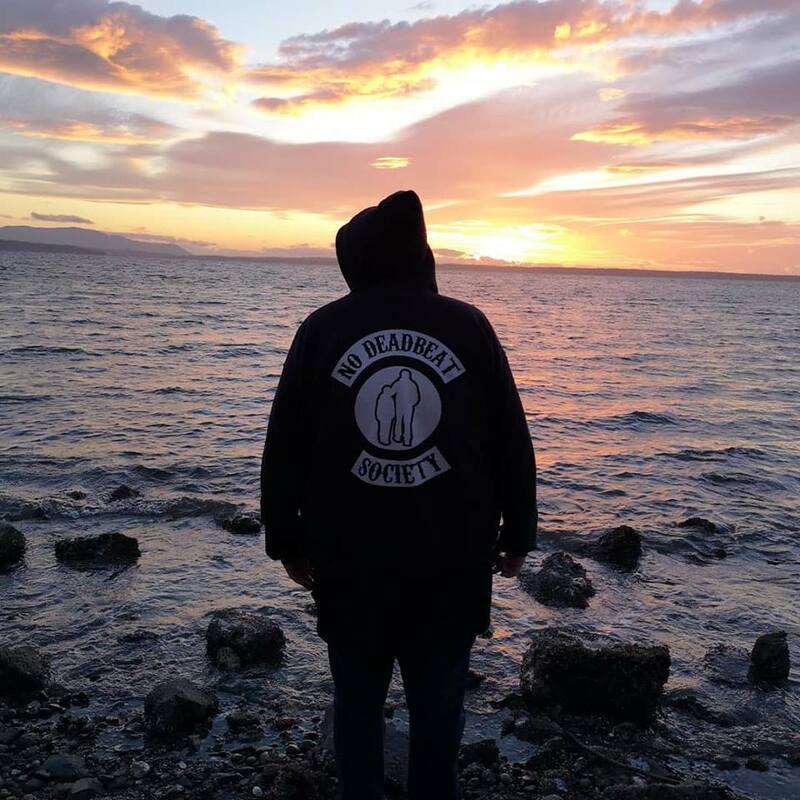 I’ve traveled through Bellingham to Seattle multiple times over the years, and even flown out of the airport there numerous times but never really spent any solid time in the community itself. 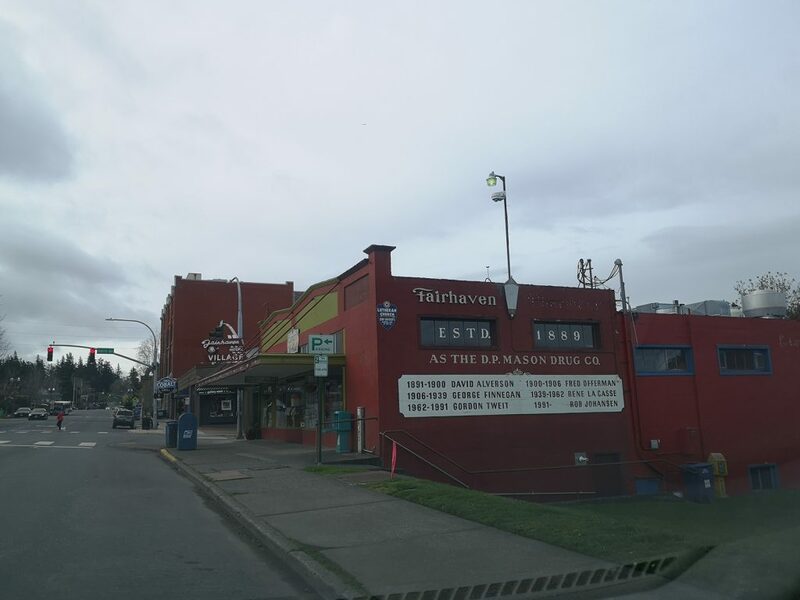 On a recent trip to Seattle I made a point of staying a night in the community near Western Washington University and taking in some of the local businesses and sights. Bellingham’s current population is registered at just about 90,000 and has a typical gold rush beginning. But what’s going on there now is absolutely awesome. I fell in love with the city and plan on making it a vacation spot going forward. If you have never been, and are traveling down to Seattle stop in to Boulevard park. It’s incredible. But what I found really inspiring, as I do in so many american communities is the thriving small business community. There are tons of mom and pop type shops, and businesses operating in buildings that appear to be quite old, and extremely unique looking. I stopped by a couple to take them in and wanted to highlight them. The Bellingham Academy of Self Defense was so cool to see! 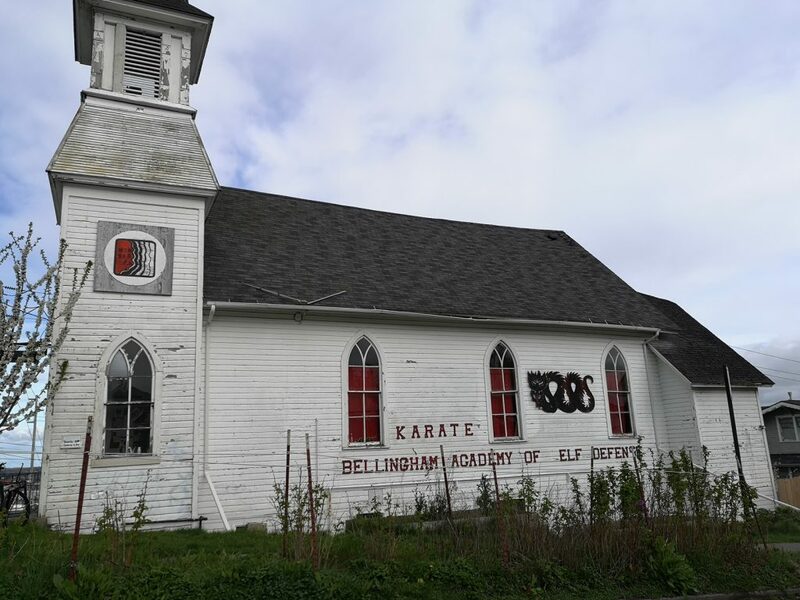 It was originally a church, converted into a dojo (infamous) where tons of people were trained in martial arts and has now become “The Alternative Library”. The Alternative Library of Bellingham is described as a place where you can find over 9,000 independent books on art and literature. The Fairhaven Pharmacy closed in 2015 after over 100 years in business, but the building still stands. It’s a neat looking pharmacy (heritage) building and still looks active. Ok, so I took in a couple businesses that aren’t exactly what’s advertised. But it’s important to note that they are still functioning and being used. There were 100’s of businesses throughout the community that looked incredibly engaging. My favourite part of the visit had to be visiting Boulevard Park. A park that sits right on the ocean that was full of hipsters, jugglers, people playing the guitar, elderly people walking dogs, and university students studying for exams. Right smack dab in the middle of the park is a Woods Coffee shop that looks right out at the ocean. I am an avid tea drinker. In fact I would say I am a tea snob. Black tea mostly, earl grey almost always, but I know when tea isn’t good and I can say that this was by far one of the top 5 teas I’ve ever tasted. I sipped my earl grey looking out at the ocean and it was the highlight of the trip while my son threw rocks into the ocean. It was an unforgettable moment. 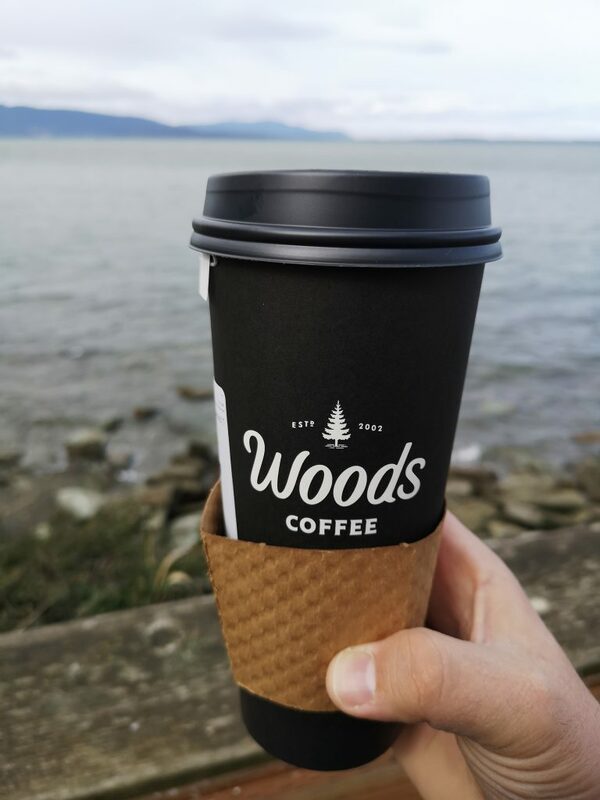 Woods Coffee was founded in and operates primarily in the pacific northwest, and specifically in the northwestern part of Washington State. It’s created it’s own culture, an environment that is very “chill” and focused on a lifestyle of exploring this amazing region we live in. Their prices seemed in-line with Starbucks, and the quality probably is similar, but the experience with their baristas was far better than any Tim Horton’s or Starbucks I’ve been in that’s for sure. The Boulevard park location was full of students studying for exams, and celebrating after class. They give away free dog food at their outside “walk through” window and everyone in line with us started up a great conversation. I of course needed to take a moment to promote my company No Deadbeat Society while at Boulevard park. Here I am watching the sunset.